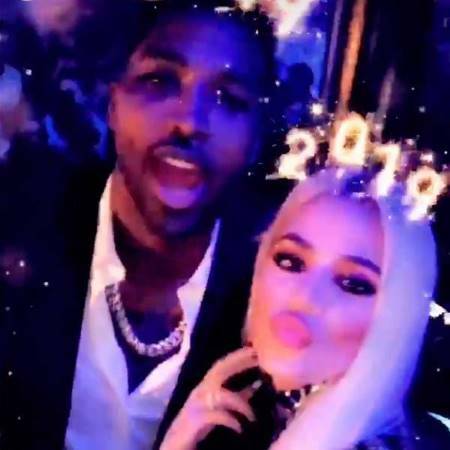 Khloe Kardashian welcomes 2019 by giving Tristan Thompson a midnight New Year kiss. 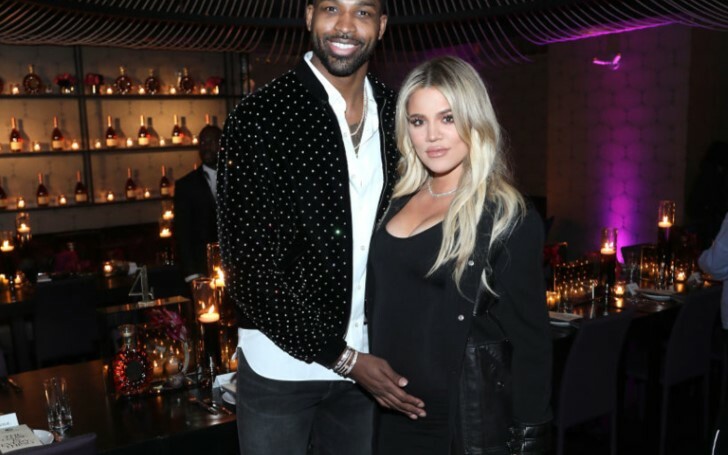 American reality TV star Khloe Kardashian rings into the new year by locking her lips with Cleveland Cavaliers player boyfriend Tristan Thompson in the midnight at the Bar & Lounge party in Cleveland, Ohio. The 34 years old Keeping Up With the Kardashians star shared all of her new year party fun she had on her Instagram stories to her 84.6 million followers. In addition, Khloe didn't forget to wish her fans and viewers a Happy New Year. Khloe who describes her 2018 as a rollercoaster emotion kicked off the new year party in a shimmering black and silver bodysuit. "Be safe. Don’t drink and drive." And in another clip, the gorgeous Khloe showed an ice sculpture dedicated to her and Tristan. The sculpture read; “Koko & TT 2019.” After that, the two kissed following the countdown to 2019. Earlier in one of her Instagram posts, Kardashian confessed everything about her 2018 journey. "My spirit can not be broken!! This year I faced my challenges by trusting myself, not always in my decisions but in my ability to overcome whatever I was being tested with." 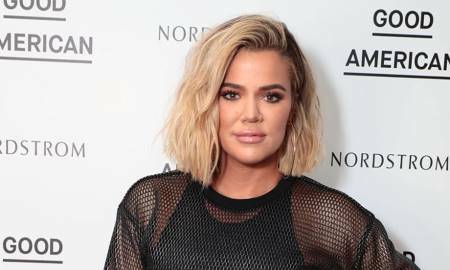 Seems like Khloe, who became a mother last year, giving birth to her first child, True Thompson learned and realized so much that she also talked about overcoming various problems. "Be truly grateful and that will create a ripple effect of karma and blessings. You get what you give in anything you do"
"True, you are and forever will be my greatest blessing- my greatest gift!! There is nothing I wouldn’t endure a million times over to be blessed with an angel like you!!!" "Thank you for showing me what it feels like to be complete." Aww, very gladdening to see Khloe so happy and in love with her daughter and partner Tristan. Our best wishes to Khloe and her family for 2019.